Those of you who are from Finland can probably figure out this is not from today. Right now there's about 30cm snow and the temperature is -18° Celsius, so yes, these are actually from some time ago when we still had close to +10°. 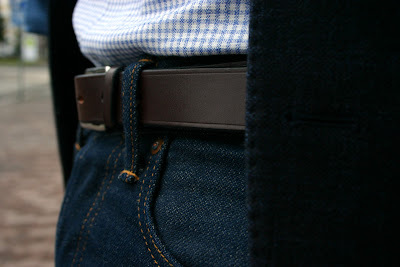 Anyway, this one is pretty close to what I tend to wear on a daily basis. 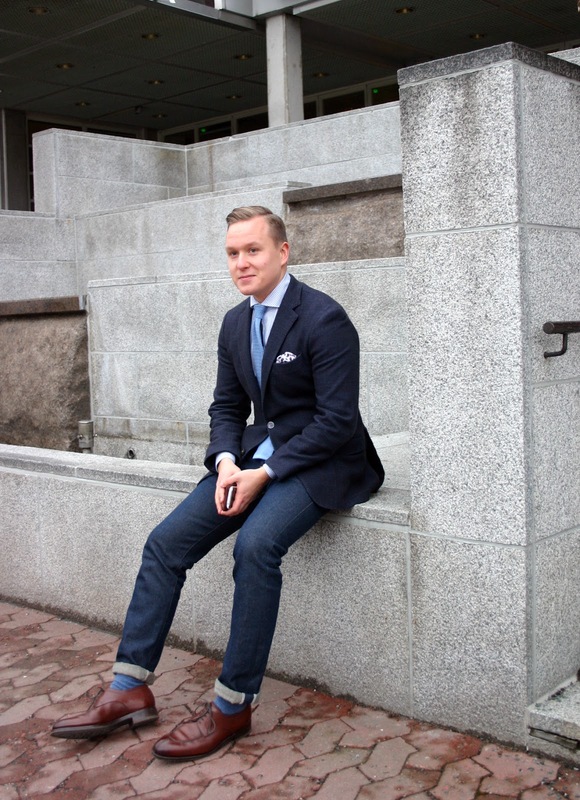 The worn items include the same navy jacket I've been using quite a lot, a white and blue gingham shirt with a spread collar, a blue 7,5 cm wide knit tie and a silk paisley pocket square in similar colors. 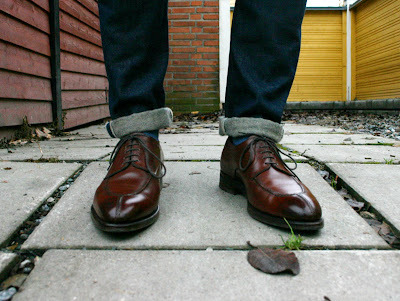 The lower part consists of an Equus Leather bridle leather belt, raw denim, blue wool socks and brown split toe derbies. I have to say, I'm happy with the result. 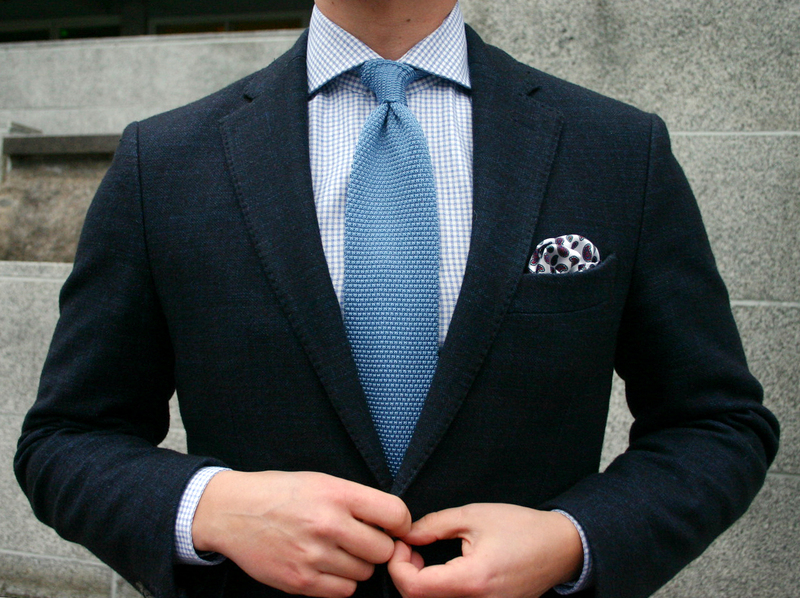 The blues have enough contrast and the fabrics compliment each other well. 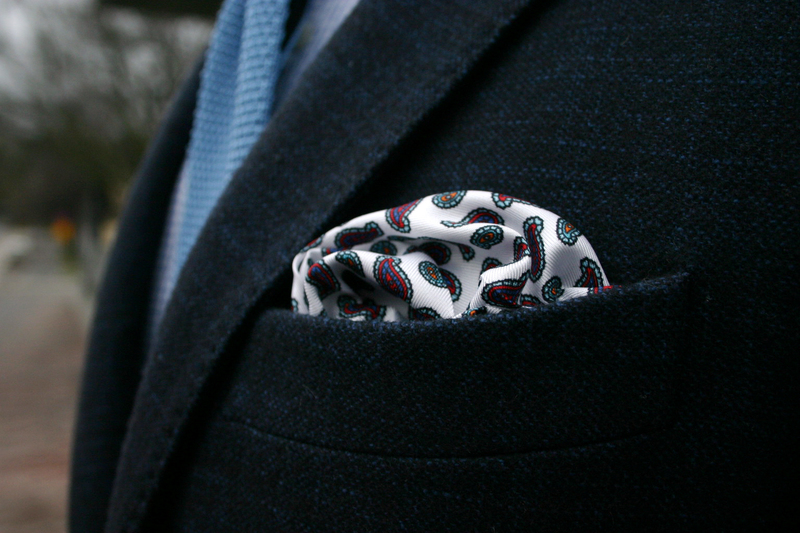 The silk in the knit tie and the pocket square add an extra touch of color without screaming for attention. 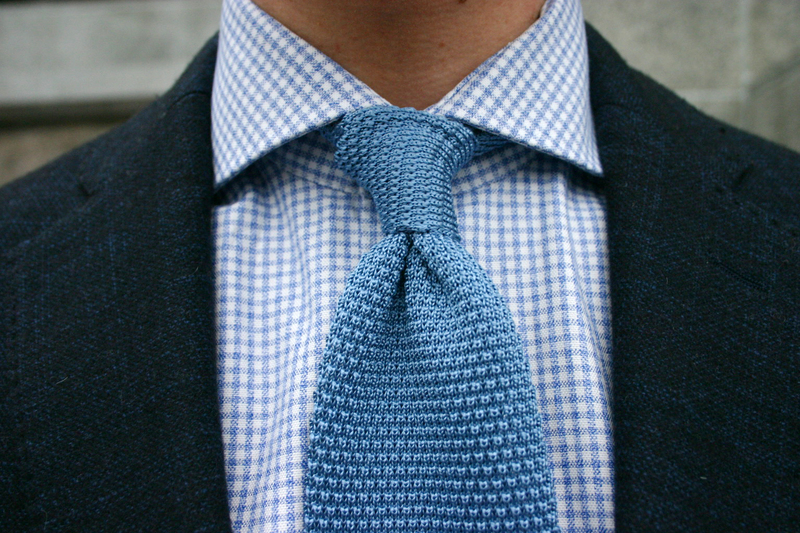 Quite like the knot as well. I've folded the pocket square in a fashion that aims to look as "full" and lively as possible. It pops up from the rough and warm-looking jacket fabric just right. Again, using an Equus Leather belt. This one is in the color Australian Nut. I still think these shoes could have used slightly more heaviness, perhaps a Norwegian construction or a double rubber sole, but I have to admit they look very handsome here. The picture speaks for itself. But yeah, this kind of an outfit works well in so many places, and always looks good.